This is a landmark edition of one of the greatest texts of our time. Gray's Anatomy has been an international bestseller for 100 years; its appeal is not only to physicians and students, but to artists and the medically curious. 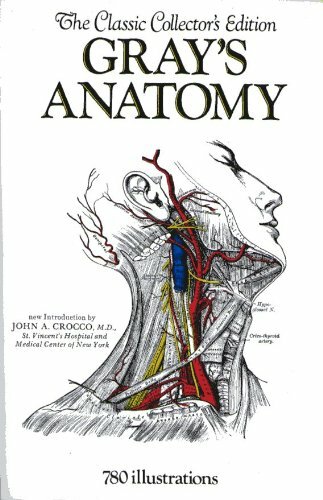 As the new Introduction by Dr. Crocco states: "Every living physician today has been exposed to Gray's Anatomy and nearly everyone has used it. It was Gray's Anatomy that occupied most of the embryonic physician's waking hours, whether at home or at the side of his cadaver. "There have been many imitations, but few real competitors. There have been dissection manuals and pictorial atlases brilliantly illustrated with exquisite photographs. There have been synopses of anatomy and there have been monographs on various regions of the body. However, there is only one Gray's Anatomy. "This stellar book represents the acme of anatomical description over the last century and will probably still be the premier text in anatomy over the next one hundred years. This commemorative edition is a very fitting tribute to Dr. Henry Gray, Fellow of the Royal College of Surgeons, whose colossal work will be remembered by medical historians past and future and by twentieth-century physicians and surgeons as the anatomy text of our age." The leg bone's connected to the hip bone, and so on. For many of us, anatomy can seem intimidating and unrewarding, but the right teacher can clear such feelings away in a heartbeat. Our fascination with our bodies is a powerful force, and once we start looking, we find that beauty is much more than skin-deep. Gray, Henry F. R. S.